The ammonoids are one of the most characteristic animal groups of the late Palaeozoic and Mesozoic. During their time on this earth, they were one of the most diverse and abundant groups of mollusks around. But as with other mollusks, their fossil record is overwhelmingly dominated by the hard shells, with little direct evidence of the softer parts of the animal. So what did the rest of an ammonoid look like? 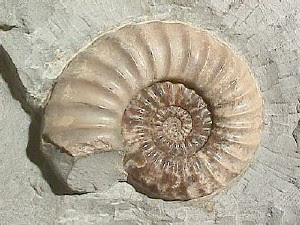 A typical ammonite Asteroceras obtusum, copyright Dlloyd. Ammonoids belong to the cephalopods, and hence to the same group of mollusks as modern octopods, squids and nautilus. Indeed, it is generally accepted that ammonoids were more closely related to octopods and squid than nautilus. As such, we can safely take as a starting assumption that those features shared by modern cephalopods were also present in ammonoids, such as a muscular siphon for propelling the animal, and an array of arms or tentacles surrounding a central mouth. But how many tentacles did ammonoids have? Squid and octopods have eight or ten arms, but nautilus have many more, about ninety. Because nautilus bear a superficial resemblance to early cephalopods in retaining an external shell, it has been tempting to assume that they are more primitive than octopods and squid, but there are good reasons to believe that the supernumerary tentacles of nautilus are a derived peculiarity of that group. Arm development in cephalopod embryos begins from ten original buds in both nautilus and squid, with these buds becoming divided in nautilus (Klug & Lehmann 2015), suggesting that the lower number could be the more primitive. With ammonoids on the squid line rather than the nautilus line as mentioned above, it seems likely that they retained the primitive arm number like their sister group. In their review of preserved ammonoid soft-tissue remains, Klug & Lehmann (2015) noted that there is only a single known fossil ammonoid (going by the memorable name of GSUB [Geosciences Collection, University of Bremen] C5836) that might include preserved arm tissue, but the area in question shows little more than a tarry smear. Trace fossils have been used to argue for a low tentacle number in orthocerids, a group of Palaeozoic cephalopods commonly believed to include the ancestors of both ammonoids and squid, but again the evidence is not enough to be conclusive. Unfortunately for Akane's purposes, ammonites may not have provided much in the way of good eating. Whereas the fossil record of ammonoid tentacles themselves is next to nonexistent, we do have a bit more evidence about the arrangement of an ammonoid's mouthparts. Living cephalopods usually have a hardened beak at the opening of the mouth, with the ribbon-like radula sitting directly behind it. The majority of tearing and crushing of food is done by the beak; the radula mostly functions to pull food particles back into the gullet. In basal ammonoids, the beak was more or less similar to that of a recent cephalopod, but in the derived ammonites* it became quite modified. Ammonites possessed a broad structure near the opening of the body chamber that is called an anaptychus or aptychus according to its configuration (though just to confuse matters, the term 'aptychus' seems to sometimes be used to cover both types). An 'anaptychus' was a single chitinous, semi-circular plate; an 'aptychus' was a calcified, bivalved arrangement. 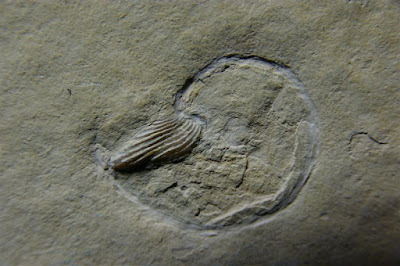 The aptychi were not directly attached to the main shell and may commonly be found as isolated fossils. Examination of aptychi that have been preserved still in their original body chamber has lead to the widely held conclusion that they represent a modification of the original lower jaw of the beak. Meanwhile, the upper jaw became reduced and weakened in ammonites with aptychi (Tanabe et al. 2015). *A quick explanation about 'ammonoid' versus 'ammonite': 'ammonoids' are a particular group of shelled cephalopods that first appeared during the Devonian. 'Ammonites' are a particular clade within the ammonoids including most of the Mesozoic species (a small number of non-ammonite ammonoids survived into the Triassic). So all ammonites are ammonoids, but not all ammonoids are ammonites. Specimen of Neochetoceras with aptychus in place, from here. Because they often have a similar configuration to the opening of the ammonite's shell, the aptychi have often been interpreted as functioning as an operculum for when the animal retracted itself into the body cavity, presenting a tough barrier to any would-be predator. Certainly the reduced upper jaw meant that they could not function as a beak to bite into food (though some Late Cretaceous ammonites did exhibit a re-enlargement of the upper jaw and may have regained their bite). However, if aptychi functioned as opercula then the tentacles of ammonites could not have sat in quite same arrangement as in modern cephalopods. They could not have completely surrounded the mouth because then they would have prevented the operculum from closing. Perhaps some of the lower tentacles were lost, or perhaps the base of the circle became divided. Some authors have argued that aptychi were jaw structures only, with no operculum function, but I confess I find it difficult to understand their purpose in that case. That most ammonoids were not subjecting their food to strenuous chewing is also indicated by the structure of the radula: where known, the majority of ammonoids had radulae with high, slender teeth more suited to grasping than rasping (Keupp et al. 2016). The overall indication is that most ammonoids were probably micropredators, feeding on small plankton such as crustaceans; where possible stomach contents have been identified in ammonoid fossils, they have also supported this conclusion. The modern nautilus has a similar diet, and ammonoid arms possibly did resemble nautilus tentacles in being short and slender rather than long and muscular (though at least one author has discussed the possibility of ammonoid arms being expanded into broad fans for the capture of plankton). 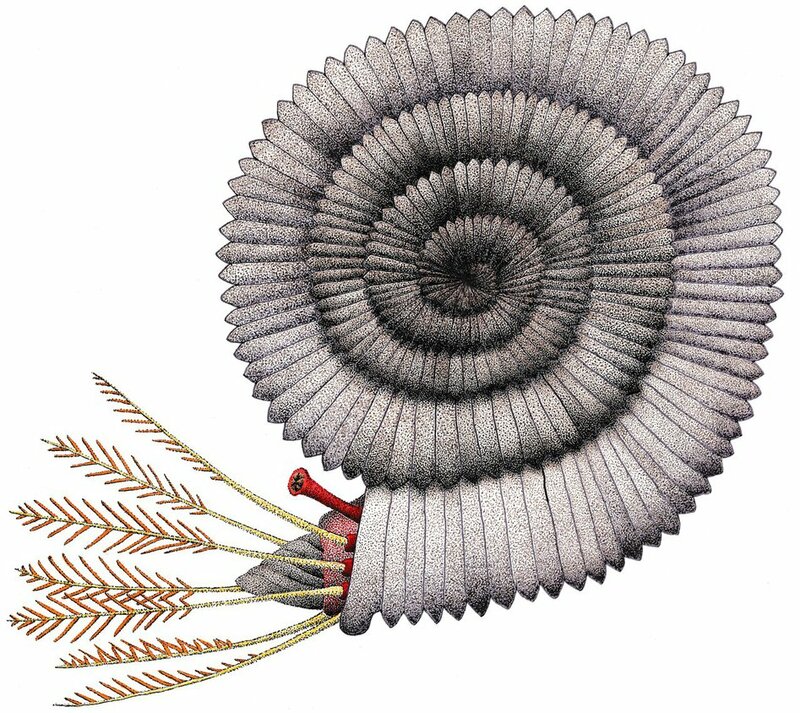 The Late Jurassic ammonite Aspidoceras had a much more robust, powerful radula than is known for other ammonoids but may provide something of an exception to prove the rule: its stomach contents are dominated by the pelagic crinoid Saccocoma, suggesting that it was still a planktivore even if it was tackling tougher prey than its relatives (Keupp et al. 2016). A speculative reconstruction of an ammonite with filter-feeding arms, copyright sethd2725. Despite its highly conjectural elements, in some ways this is one of the better ammonite reconstructions I've seen. Most have too many arms, too robust arms, or (arguably worst of all) show the aptychus articulating dorsally in the manner of a nautilus' hood. 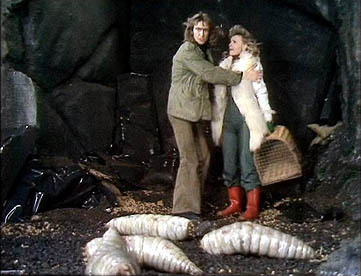 So to sum up, ammonoids probably had only a small number of tentacles, no more than ten at the most. They were probably slight affairs, suited for sweeping small or poorly motile food objects out of the water rather than grabbing and manipulating struggling prey. A planktivorous habit for ammonoids would also seem to fit with their predominance when they were around; after all, there's no shortage of plankton in the sea. Keupp, H., R. Hoffmann, K. Stevens & R. Albersdörfer. 2016. Key innovations in Mesozoic ammonoids: the multicuspidate radula and the calcified aptychus. Palaeontology 59 (6): 775–791. Klug, C., & J. Lehmann. 2015. Soft part anatomy of ammonoids: reconstructing the animal based on exceptionally preserved specimens and actualistic comparisons. 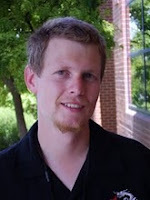 In: Klug, C., et al. (eds) Ammonoid Paleobiology: From Anatomy to Ecology pp. 507–529. Springer Science. Tanabe, K., I. Kruta & N. H. Landman. 2015. Ammonoid buccal mass and jaw apparatus. In: Klug, C., et al. (eds) Ammonoid Paleobiology: From Anatomy to Ecology pp. 429–484. Springer Science. Please add reference to the manga... it may be from Ranma ½, but I know only the anime from tv. I've seen copied printout copies copied further of paleozoic fossils in mangas including Nautiloids, but those also came without source. Can anyone provide further evidence of fossils in mangas, especially of paleozoic vertebrates? Not Ranma for sure. Looks to me like it could be by A. Toriyama. It is by Toriyama; it's from Dr Slump. You're right, but the girls name should be Arale. Akane is from Ranma, so the name mislead me. I really would appreciate hints to mangas containing Nautiloids, the one I knew based obviously on Burian. Arale is the lead character of Dr Slump, but the character who is busy barbequeing the ammonite in this scene is Kimidori Akane. Do we have any idea what colour ammonoid shells would have been in life? I mean, it presumably varied within so vast a clade, but do we have indications for any particular species? There are a few examples of ammonoids preserved with colour pattern in place (though presumably not necessarily the original colours). Longitudinal stripes are known from Amaltheus and Tragophylloceras, for instance, whereas radial stripes are known from Pleuroceras. I am interested to know how (and when) the aptychus was confirmed as homologous to the cephalopod jaw. I always read that it was an operculum structure, possibly related to the lappets found in some genuses. I'm even more interested in how that structure would have functioned in the living animal. My impression is that the jaw connection of the aptychi became established in the 1980s and 1990s, though it had first been proposed as far back as 1864. The primary support for it comes from specimens that preserve the buccal mass, where the upper jaw and radula are preserved in the expected positions relative to the lower jaw/aptychus, and no other lower jaw structure is preserved. Where Do You Put Your Camels?